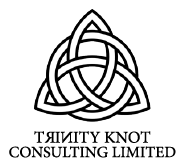 Trinity Knot Consulting - We are niche compliance and regulatory advice consultancy. We are a niche compliance and regulatory advice consultancy, providing a tailored service for UK regulated firms operating in today’s complex financial markets. We specialise in advice, assistance and representation in all aspects of regulatory enforcement activity, assisting to de-escalate and remedy any serious concerns raised by your regulators. Trinity is able to swiftly intervene on your behalf and produce independent and transparent reports, assisting where necessary with any urgent remedial activity. Our expertise extends to complex and novel challenges and we specialise in preparing individuals with a ‘Significant Influence Function’ (SIF) for interviews with their Regulators. 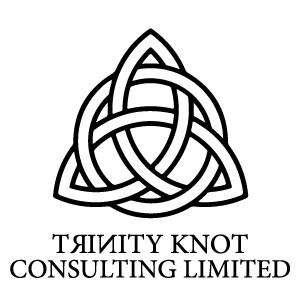 Trinity Knot Consulting also delivers a range of seminars and workshop events nationally on relevant and topical issues for delegates and their on-going Continual Professional Development. The course content and timings can readily be adapted and designed around your organisations particular training needs, whether these are reviewing the latest developments on AIMFD, refreshers on AML, KYC, or whatever your requirements. With positive working relationships with industry regulator’s and the wider financial market, Trinity ensures all aspects of your case will receive the best pragmatic commercial advice.